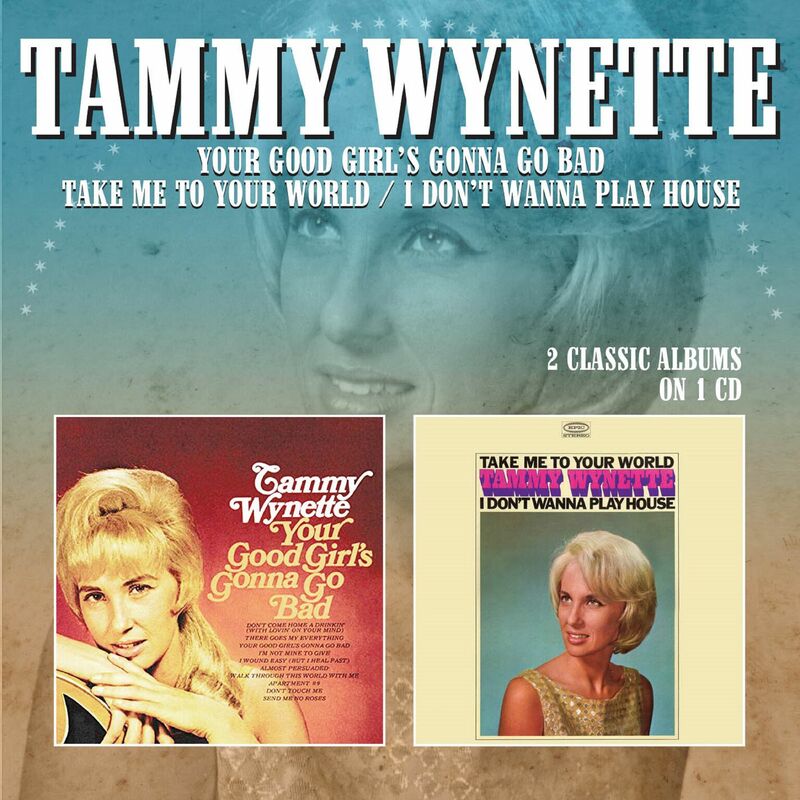 So here we have Tammy's first two solo albums from 1967 and 1968 containing two No. 1 singles 'Take Me To Your World' and Grammy winner 'I Don't Wanna Play House'. 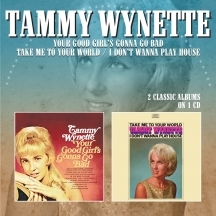 Other hit singles featured are 'Apartment #9' and 'Your Good Girl's Gonna Go Bad'. Includes cover versions of top country songs of the time 'Ode To Billie Joe', 'There Goes My Everything', 'Walk Through This World With Me', 'Almost Persuaded' and 'Don't Come Home A'Drinkin' (With Lovin' On Your Mind).